A new year has started, which means a new series of exciting Microsoft events is ahead of us. Mostly hosted in North America, those events offer unique opportunities for networking and for learning about the latest developments in technology and in business processes. This year, certain conferences have changed names, while others have changed schedules. 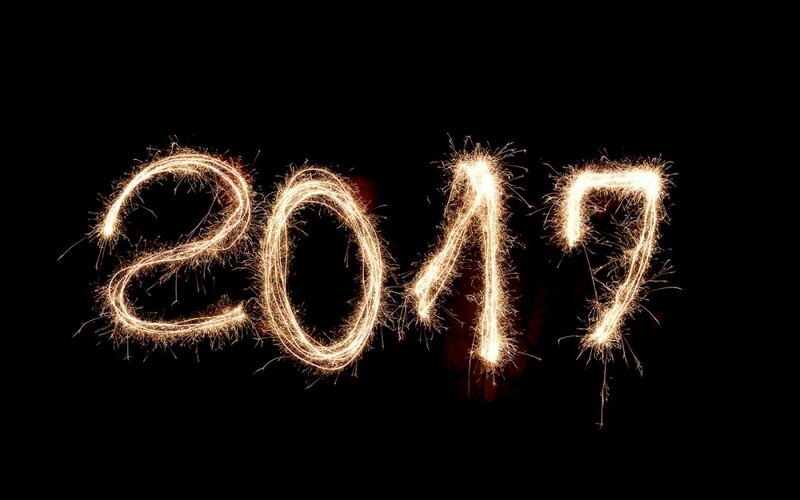 This handy list will help you to keep track of the 9 major Microsoft events to watch out for over the next few months. 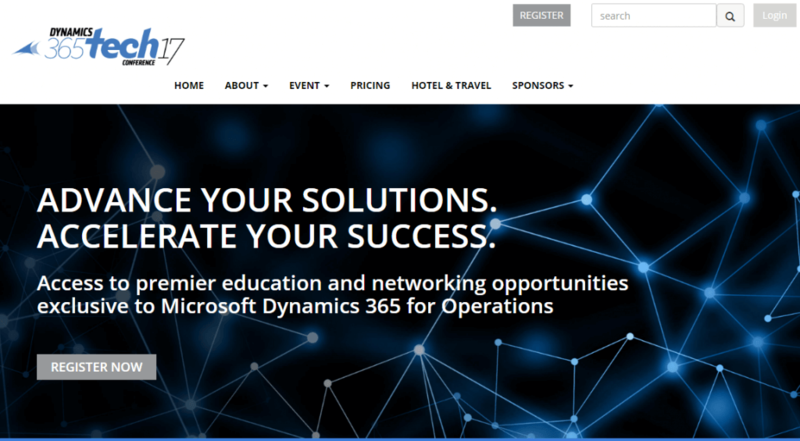 This year, the Microsoft Dynamics Technical Conference will be called the Dynamics 365 Tech Conference. Its focus will be to provide technical information and networking opportunities in the area of Dynamics 365 for Operations. Agenda, Pricing information and registration are available on the Dynamics 365 Tech Conference 2017 website. reIMAGINE, your Microsoft Dynamics GP Partner conference, has now been divided into two separate events. GPUG Amplify is the first of those two events. Its focus will be to provide Sales and Marketing information for Dynamics GP Partners. The other half of our former reIMAGINE conference will be the Dynamics GP Tech Conference, which will take place in August (see further down for more details). Information and registration are available on the GPUG Amplify website. Targeted at developers, Microsoft Build is a great opportunity to learn about the newest technologies from a technical perspective. On the Microsoft Build website, you’ll be able to join the Build mailing list for more information and updates. Microsoft’s famous Worldwide Partner Conference (WPC) has been renamed and is now called Microsoft Inspire. More than 16000 professionals are expected this year, making this event an amazing opportunity for networking. 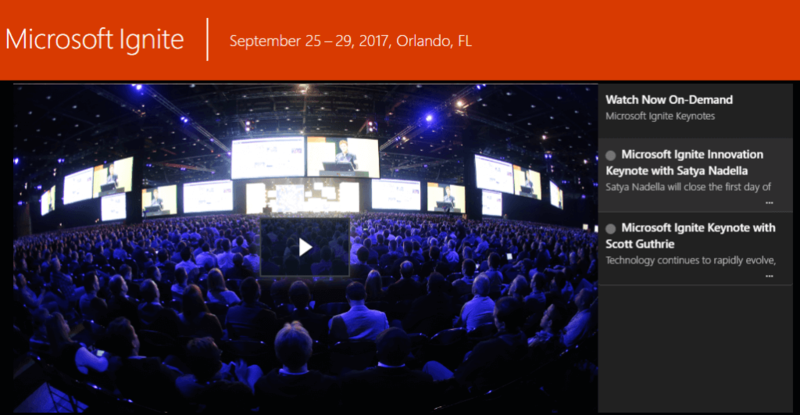 For more information and on-demand sessions from last year’s conference, check the Microsoft Inspire website. If you wish to attend, you can already register here. Formerly known as reIMAGINE, the Dynamics GP Tech Conference will be providing Dynamics GP Partners with educational content targeted at Technical consultants and Developers. Directions is an exciting Microsoft event organised for Dynamics NAV Partners. It’s a great opportunity for expanding your Dynamics NAV network, knowledge base and professional tools. To keep an eye on updates and to sign-up for the mailing list, take a look at the Directions North America website. With over 700 sessions spread over five days, Microsoft Ignite will provide IT professionals with an in-depth coverage of key technology trends. The conference will give you access to hands-on learning through digital labs, direct access to product experts, product demos and product strategies. 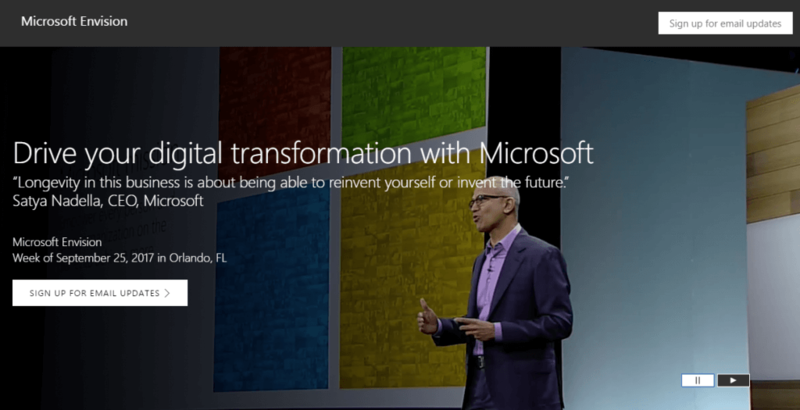 You can already pre-register on the Microsoft Ignite website. Last December, Microsoft announced on their official blog that Envision’s dates and location would move so it could become a part of Microsoft Ignite. The spirit of this change is to bring IT leaders and Business leaders closer together and to encourage a deeper synergy between the two. You can sign-up for email updates on the Microsoft Envision website. This year, Directions EMEA will provide Dynamics NAV and Dynamics CRM partners with essential information on how to adjust their business models to the new Dynamics products and to the associated digital technology transformations. The event will provide in-depth sessions about the changes brought on by the latest product changes, including Dynamics 365. Super Early Bird registration opens on February 15th. For more information, check the Directions EMEA website.